The NDF AM/PM Diet was the first dehydrated, natural dog food on the market and is based on Wendy Volhard's Natural Diet (NDF) recipe developed in 1972. 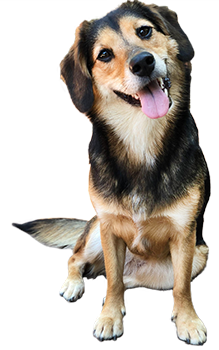 The Natural Diet recipe has been clinically tested on different breeds, sizes, and ages of dogs (bloodwork and urine) for over 30 years and has improved the health, vitality, and longevity of dogs. There is no other fresh diet on the market that has the longevity and generational results that Volhard diets do! The Volhard Dog Nutrition Original Natural Diet AM/PM was formulated to exceed the nutritional levels established by the NRC and AAFCO Dog Food Nutrient Profiles for All Life Stages, including the growth of large size dogs. 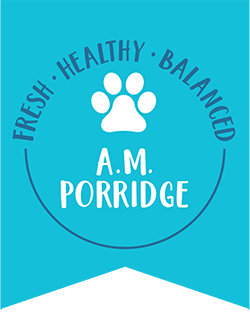 AM Porridge is part one of a two-part dehydrated foundation mix (AM/PM) which eliminates prep work and allows maximum control over ingredient freshness and vegetable choice. 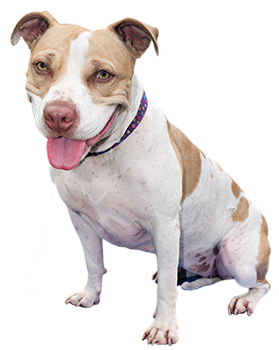 NDF AM/PM gives you the flexibility to meet any special dietary needs your dog may have. The uniqueness of this recipe separates certain digestible nutrients so that a dog having issues digesting different ingredients at the same time are completely eliminated. Why Feed Protein and Veggies Separately? Regardless if you are feeding a Raw Diet or a Kibble based diet, you should be feeding raw fruits and vegetables separately from the protein in your dog’s diet. Protein is digested at a much slower rate and when fed together, the fruits and vegetables will “push” the protein through the GI tract much quicker than the nutrition can be absorbed. Feeding fruits and vegetables separately in the day allows them to have a chance to be well on their way out of the body before you introduce the protein for the day. During the cold dehydration of NDF AM/PM only moisture is extracted, so that the integrity of the vitamins, minerals and amino acids is maintained, which revitalize when hydrated with water. All you add is whole milk yogurt or kefir and lightly steamed or fermented vegetables to the AM meal and your dog’s favorite meat to the PM meal. This recipe allows you to follow five element theory by allowing you to change the vegetables throughout the seasons! AM/PM is a functional food diet with all ingredients being purposefully chosen for its healing properties. Herbs have been added to support the liver, kidneys, heart, stomach and the digestive tract. The AM/PM diet is an ideal choice for all dogs but particularly applicable for older dogs, dogs with digestive sensitivities or recovering dogs because of its nutraceuticals. NDF AM/PM contain only natural preservatives and should be stored in the refrigerator after opening.